Succeeding in the already tight beauty market depends on a number of factors. Here are eight of those. 1. Rely on your own talent. 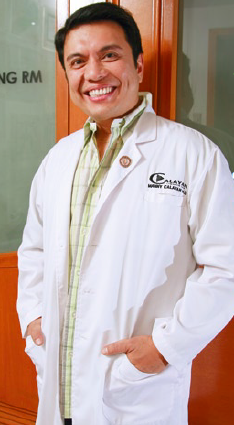 Dr. Calayan or Doc Manny, who has been practicing his craft since 1997, really had plans to put up a cosmetic and dermatological clinic with his wife Dr. Rosario ‘Pie’ Cabrera-Calayan after their studies and internship. By dint of hard work—and a bit of luck, Doc Manny says—the Calayan Surgicenter Corp. now has two clinics in the Philippines and another in the United States, on famed Sunset Boulevard in Hollywood, California. 2. Rely on others’ talent. If you can’t do it, find someone who can. That’s what the group of friends who formed Vivere Salon did in 2004—hire stylists trained in the prestigious Vidal Sassoon Academy, the so-called Harvard of hairstyling—when their plans to franchise another salon brand fell through. “There were no locations available (for the planned franchise). 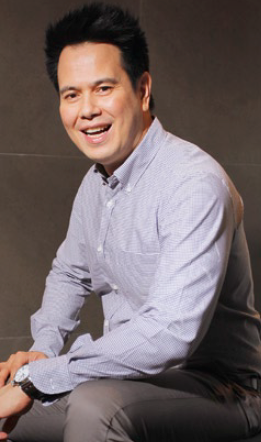 This prompted us to go the other way and create our own brand instead” with P2 million in capital, recalls Ramon de Ubago III, CEO of Life is Beautiful Inc. the company behind Vivere Salon. 3. Treat all clients equally. 4. Compete with yourself, not your competition. In business, you cannot avoid competitors, but don’t focus on them; just “train yourself and do your best,” says Dr. Calayan. In the cosmetic surgery industry, that means you are always learning new procedures and training how to use the newest equipment—there are more noninvasive and laser machines now than before, Doc Manny notes. Meanwhile, Vivere is eyeing more branches in malls where “we definitely have a lot of opportunities to reach our target market,” says de Ubago. “We believe that we should price our services with value for money as the main consideration,” says Vivere’s de Ubago. “We have a high rate of returning customers because we’re not just able to delight our customers but we give them their money’s worth.” Calayan’s fees, meanwhile, reflect the complexity of the treatment he has to perform on his patients “It’s either minor or major surgery,” he says. 7. Spread the word (of mouth). Even if a beauty business is very hands-on, you can still grow it by getting partners or through franchising. Vivere, which presently has five outlets, is opening its business for franchise only after “strengthening its brand and considering the inquiries they received over the last two years,” notes de Ubago. To bring Calayan Surgicenter to the States, Doc Manny teamed up with three 'associates' (doctors like him)— an Armenian and two Americans—apart from his wife Dr. Pie, who manages the US business. It’s more proof that everyone, everywhere, wants to be beautiful. This article was originally published in the May 2012 issue of Entrepreneur magazine (with updates from the editor). Subscribe to the print or digital version here.